Let me show you how to increase blog traffic to your food blog in 2019. If it feels like your food blog is in a rut, or never really got going, let me share with you my top tips for increasing your blog traffic in 2019 and beyond. 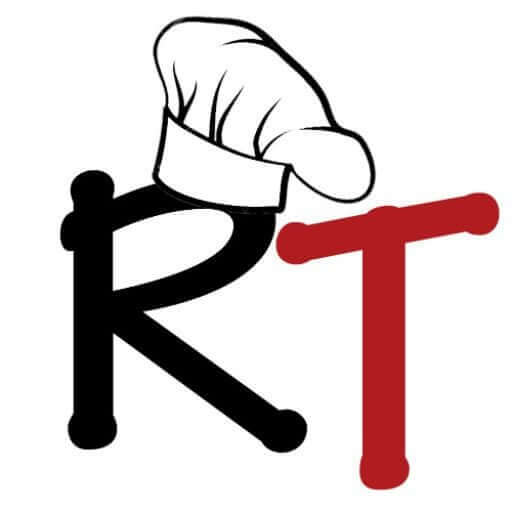 We started recipethis.com on the 15th of November 2015. I remember it well as it was 10 days before my daughter Sofia’s 1st birthday and she is now a bossy 4 year old that loves helping her mum (well as long as Peppa Pig isn’t on the TV). Since then we have also had another son Jorge who was born in September 2016. RecipeThis.com has allowed us to stay at home together and raise our children at home. No babysitters and no nannies. We have a home office and take it in turns to have a work day. Today is mine and I am writing up this post showing you how to increase your blog traffic, in the run up to Christmas 2018. I like to be organised and blog in advance. But I wouldn’t have the opportunity to be taking off a couple of weeks off work for Christmas or be able to afford Christmas, if it wasn’t for traffic to my food blog. The traffic that is monetised so that I can live a life free of sponsored content and not having to worry about bills. Let me guide you through ways to increase blog traffic and just how easy it is with a little patience. Plus, all of my methods to increase blog traffic are 100% free. No media buys, no social media ads! I wanted to start off with a big top 10 list of the best ways to increase blog traffic, but in reality there is NOT 10 amazing ways in 2019. YES sure I could go back to my original post where I showed you 101 ways to promote your next blog post, but there are NOT 10 solid ways that stand out in their own right that I would recommend you do in 2019. I must start with the big one. The one that according to my Google Analytics was responsible for 36% of my traffic since we started RecipeThis.com. I LOVE Google traffic and have found that over time it has brought a lot of traffic my way. Above is our SEO traffic since we started the blog and as you can see it has been built up over time and has brought us a good amount of long term traffic. To get increased blog traffic from Google you need to be able to write with Google in mind. Not spammy like a lot of the diet and forex sites just in a way that gets your keyword out there and gets noticed. Make sure your keyword is in the title, the first sentence, every image, every headline and most of all use a good plugin in like All In One SEO to make sure you are getting your keyword meta title and description set up. But most of all, keep writing quality content that stands out from the crowd and gets YOU noticed. It is also important that you write with a micro niche in mind. Otherwise by going after broad recipe terms you are competing with the blogs that have been there for 9-10 years and have a much bigger authority with Google than you have. The chances of you having the number #1 spot is pretty rare. As well as this people will see your position and copy you. That is what I find unfair about SEO. Why is it that people that have copied your work and just re-worded it, that have stolen your idea, are suddenly above you in Google? Sadly it happens all the time! It is also important (if you can) to go after the keywords that not everyone else is targeting. I have seen 300+ different blogs all writing their version of homemade stuffing for Thanksgiving. I love stuffing just as much as everyone else does, but Thanksgiving dinners are HUGE, choose that side that is not talked about as much. Just like in the slow cooker you see chicken and potatoes ALL THE TIME. What is stopping you from cooking more pork and potato recipes or lamb dishes? There are also micro niches that are very easy to crack because you don’t have everyone on the planet writing about them. Take Weight Watchers, there are really not that many Weight Watchers blogs compared to Paleo & Keto. In reality most successful bloggers that started earlier than you, did so because they were the only authority in their micro niche. So, get yourself more and more established in your niche and it will help your SEO. Take us and our kitchen gadget recipes. Google associates us with the Instant Pot, the Air Fryer, the Soup Maker, the Slow Cooker and so on. Yet there were kitchen gadget bloggers out there before us. If your niche is the Paleo niche, then look at having a month of paleo desserts. Google will see you as the authority and it will grow your presence beyond just chicken and vegetables. Then the month after that go after Paleo breakfasts and so on month by month. Another option for increasing your SEO traffic is the rinse and repeat method. Go into your Google webmaster tools and find what popular SEO rankings you already have. Let’s say it is a potato soup. Then have a potato soup week on your blog. Focus on other popular potato soup recipes that you know your readers will love and have interlinking between the posts, or you can end your week on a round up of your soup recipes. I have followed the rinse and repeat method several times and it has NEVER FAILED! Second on the list must be the highest traffic source at RecipeThis.com and that is Pinterest. It has generated 39% of all traffic since we started our blog, and in honesty we could probably do better with Pinterest and plan to as we go into 2019. When we started with Pinterest many years ago, it was so old school you had to get an invite from someone to open an account. You then pinned your graphic and you hoped it would go viral and that was all you did. Join as many relevant Pinterest Groups as you can find in your niche. Get on at least 300 of them (if not more) and go with broad ones that have at least 10,000 followers in your niche. Or for niche specific the followers don’t count. We have a good mixture of Pinterest group boards from pizza boards to sandwiches to general food ones. As well as niche specific Instant Pot ones. Then join Tailwind and set up a board list with all your groups that you have joined. Now with all your blog posts (past and present) set up a calendar so that each of your pins goes to your boards as well as the group boards. But set it up so that no board gets more than 5 pins a day, that way you don’t look spammy. The board list is very important because without it, it will take an eternity to pin to all these boards. It means that pinning to 300 boards a day takes me just 10 minutes. Then you simply choose a list to pin to rather than having to click them all one by one. After 90 days of doing this check your stats on Tailwind and leave all group boards where you have low interaction. Aim for boards to remove that don’t get you 2 repins for every pin you share. This will bring down your Pinterest group board count to a more normal amount and you will have found the best of the best. As not all boards are equal and some are rather low in activity. Its best to do it in bulk like this as then you can find the good ones quickly rather than it feeling like a long boring task. We found that from this exercise we went from 400 down to 200 group boards and it was amazing the difference it made. Then whenever you have anything relevant or you find other things that are relevant then share to each of these boards. Make sure all your Pinterest boards that you have include excellent board descriptions, board tags as this will help you get noticed. Each time you pin make sure that you have a good description with your main keyword in it at least once, followed by broad tags that suit your niche. I try to get in 3-5 tags, but it depends on how big my description is, to how much space I have left. And just keep going. Be consistent with this each time you have a new blog post on your blog and remember you can re-do your posts from the past. Third for my highest traffic has to be round ups. I am in them everywhere and it should be a very big and important part of your strategy. A round up (if you have not seen them) are lists for a particular topic. I.e. top 10 potato recipes, top 10 chicken recipes and so on. Many of the blogs that run round ups on their blog are looking for people like YOU to link out to. Just think each time someone links out to you, not only is it helping your traffic, but also your SEO. There is nothing stopping you reaching out to influencers in your niche and letting them know that they are welcome to use your links whenever they like, as long as they give you proper credit. For example I have been featured a lot in round ups on Buzz Feed and it regularly brings me a lot of extra blog traffic. Make sure you mention this in the small print of your site, as someone might stumbleupon your site and want to feature you. Get a virtual assistant to contact anyone in authority that you can think of and get the ball rolling. As well as this search on Facebook for round up requests as there is plenty on there that you can add your link to, if you have some suitable recipes. An email list is a must even if you just use it to send out your latest blog posts. You can build it with a free offer on your site and then use it to drive new subscribers your way. 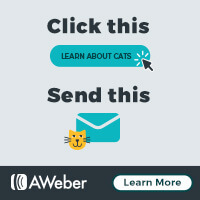 We use Aweber for this and they are very cheap for what you get. Everyone will tell you to join Convertkit but they are a lot more complicated than Aweber and I am yet to see them offering more than what Aweber does. I love the tagging the most as you can have a tag set up so that you can separate your subscribers based on interest. For example, I can separate Instant Pot owners from Air Fryer owners, as not everyone has both or is interested in both. I could also separate my British readers from my American readers. You can also go advanced with your email list and email them and get to know them with follow ups. I email mine every 6 days with a new cookery story and after every 4th message I sell them one of my products or one of the affiliate products that I am using. An advanced method is to retarget those that don’t open your email with a follow up email, to increase opens. I do this on a weekend for those that didn’t open my Monday post with the latest recipes. Place sign up forms to join your list throughout your site and test to see where gets you the best result. Widget areas are not as good as bottom of posts or pages dedicated to signing up. Though, do make sure you avoid pop ups as they look cheap, slow down your site, ruin your SEO and ruin visitor experience. Even though people complain every day about Facebook showing your content less and less, Facebook groups are fantastic for a quick bump in traffic to one of your recipes. But you MUST be strategic about it. Join 20 groups in your niche that are micro groups. No general food groups as the interaction on them is terrible. But if you’re an Instant Pot blogger, then lots of pressure cooker groups, or a Paleo blogger lots of Paleo groups. Find 20 and then each time you share a post to your Facebook account make sure it gets shared from the page to 10 groups on day 1 and then 10 groups on day 2. Then do the same with your next post on day 3 and day 4 and so on. Then after a month get rid of any groups that you have not had good interaction from and keep the rest. Now stick to doing approximately 6 groups every other day. Also spend 5 minutes a day being active on these groups too. For me my natural reach on Facebook for a new post is about 800 from my 26,000 likes, but post to the groups with each new update and it brings my reach up to between 10,000 and 20,000. That is all you do as we all know Facebook could make a change at any moment and you don’t want to waste too much time on it. Just enough to get you some traffic. I have seen bloggers with years of experience just getting 100 reach a day from 1 million likes, so without groups or paid ads, you wont achieve anything. This is just one round up post that I reshared among the groups at a time when the Instant Pot was a hot topic. It gave us a fantastic 3 day bump in traffic and was well worth the 5 minutes time that it took to do it. To sum it all up all 5 of my methods work well for increasing traffic, but nothing will beat round ups. The round ups method you can use on a brand new blog and see results in a couple of weeks. But if you combined all 5 of my methods for increasing blog traffic then you will be on a winner. Plus, none of these traffic methods are too time consuming and are worth a go. Though if I had to choose between Facebook Groups & Pinterest Groups, I would choose Pinterest. Even if you have gone viral on Facebook you might see a 190,000 reach, but go viral on Pinterest and you will see a 1 million+ reach. Well the truth is that they don’t provide the same level of results. Tumblr, Twitter and Instagram are more about interaction rather than good traffic and recipe sharing is on its way out. Recipe sharing was good once, but people would rather use Pinterest and many recipe sharing sites provide very little traffic these days, that it is not worth the effort if you have limited time. I get my eldest son to do 3 of the recipe sharing groups for me, but its very much on a limited basis. With You Tube it is more of a long-term strategy that not always brings you HUGE amounts of traffic. The amount of times food blogger friends have recorded low traffic, has been amazing. They would have had 1 million views on a viral video and still not had a big boost in traffic. That to me makes me wonder if video is worth the effort or not. But those 5 big traffic sources that I have mentioned for increasing your blog traffic has taken us from 0 traffic to over 9 million page views in just 3 years!